we are proud to participate in the 20th anniversary edition of CTM festival entitled »persistence«. and will be on display at nGbK, oranienstr. 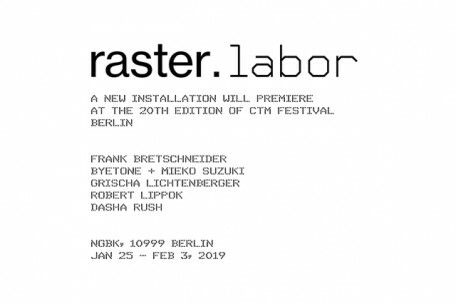 25, 10999 berlin from jan 25 until feb 03, 2019.
with friendly support by schneidersladen, me geithain, and planungsbüro silberberg.